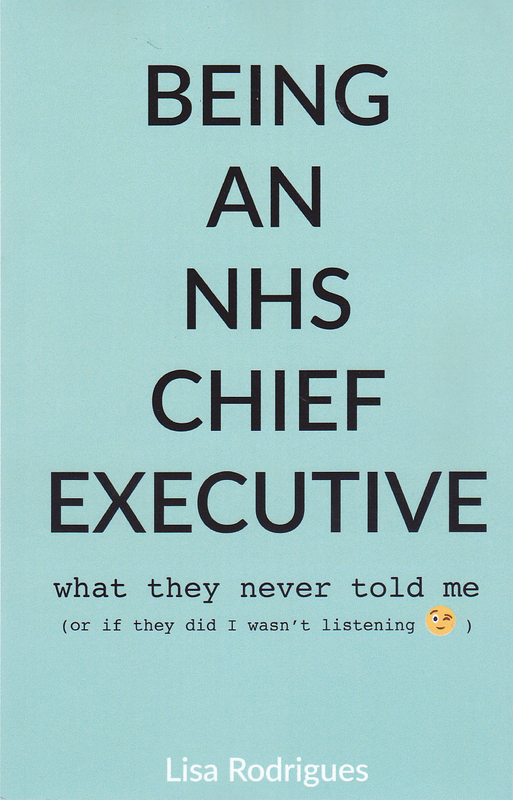 In July 2018, I finally published my book Being an NHS Chief Executive. Here are some of the questions I have been asked about it. The writing was anything but easy. It made me re-examine events that had been painful for me, even more for others. It caused me to reassess some fundamental beliefs. It made me question past decisions and find them wanting, in some cases because I had been plain wrong, in others because I and those I worked with lacked that useful instrument first described in the 1950s by Dr Eugene Braunwald, the retrospectoscope. And there were times it laid me low and made me think some very bleak thoughts. On top of this, my original publisher didn’t like the title I had chosen. They said it made the book difficult to place. What they meant was that it might not sell. Eventually I found another publisher. But they wanted me to turn it into three books, while I was struggling to deliver one. And we parted company too. Cue The Laughton Press, a tiny imprint with only one publication to its name. The owner and managing editor is Steve Marsh, my husband. He runs a tight ship and knows how to hold his only author to deadlines. But he is also aware of his limits and so he brought in a professional editor, Jean Gray, ex Editor-in-Chief of the Nursing Standard, to kick my ramblings into shape. Together we made a good team. But it was still very, very hard! You bet there is. It will take more than a few people in the public eye talking about their own experiences to rid us of that terrible stigma. It manifests itself in the way people who are mentally ill are portrayed in the media, although have been some progress. But more in how society (including government, who are elected by the people and in effect do their bidding) treats people who experience mental illness. There is unfair discrimination in access to decent housing, welfare benefits, support in finding meaningful employment, and to timely, compassionate, effective health care. Here in the UK, people with the most severe forms of mental illness die on average 20 years earlier than the general population. That should be a national scandal. The fact that it isn’t seems to me to be cast-iron evidence of the stigma that still exists. Until I was in my early forties, I wouldn’t have described my experiences as that. My self-stigma was so great that I viewed my inability at times to face the world, simply as my own weakness or flaws in my character. And then, once I began to accept my experiences for what they really were, I felt that talking about them would be self-indulgent, given the good luck I seem to have had with my family, friends, education, home and job. The latter is something that people like me must always look out for. When I had my last major depression and was huddled in the dark wanting to be dead, I didn’t have to worry about being made homeless, having no money and getting no treatment or support. I know that I must always watch my privilege. As well as being cruel, this is a false economy. Most mental illnesses start when we are young. If young people get the right support, advice and treatment straight away, the chances are they will be able to resume their education and personal lives fairly quickly, growing up to become full participants and contributors to society. It doesn’t mean they will necessarily be cured, but it does mean that the disabling impacts of mental illness can either be avoided or kept to a minimum. Imagine if we said to people with cancer, look, your tumour isn’t causing you too many problems right now. Go away and manage it yourself and only come back when you are dangerously ill. There would be an outcry. And yet this is what is happening across the country every day. But having regrets is wasted energy. So I’m doing what I can, writing stuff like this, talking about it to anyone who will listen, and using the book as an introduction to a having a different sort of conversation. Why do I have to buy the book from Amazon? Because The Laughton Press has limited resources, we haven’t paid a book distributor to make the book available in bookshops or other online booksellers. If you want the Kindle version, you have to buy it on Amazon. But if you live in the UK, you can order a copy directly from The Laughton Press either next to or directly below this. A novel set in a choir school. It is half done and I am trying to concentrate on it properly. When writing fiction, you need to let the creative juices run, which for me means starting to write as soon as I wake up. Some days I am in still in my PJs at 3 o’clock in the afternoon. At least that’s my excuse! If you want to read my book, you can get it in here.